Citizens band radios… remember them? While the popularity of CBs has declined dramatically since the era of disco and bell bottom jeans, a dedicated group of CB users and enthusiasts is still keeping the dream alive. In 2019, there are numerous options to CB radios available, including cell phones and family walkie talkies, but CB radios have advantages that still make them a popular choice in certain circumstances. Until 1982, operation of a CB radio required an FCC license. That requirement was discontinued, and anyone can use a CB radio – as long as they are using FCC-approved equipment. CB radios became immensely popular in the mid- to late-1970s because of a combination of cheaper equipment and pop-culture exposure through songs, movies and television programs. CBs were everywhere at that time; they were not just used by truck drivers, but many others who wanted to listen in to what was happening on the highways and byways of the United States. CB radios’ popularity waned, largely due to new technologies that provide different features and improvements. Of course, cellular telephones are CBs’ biggest competitor. Cell phones can be used to talk coast-to-coast, compared with CB radios, which have a limited range (local communication). Cell phones also allow you to have a private conversation, while CB conversations can be heard by anyone within range who is listening in on the particular channel/frequency. Cell phones with traffic and weather apps provide information about road conditions. Cell phones’ with GPS navigation (or separate, stand-alone GPS systems) provide that critical information. Radar detectors (or apps) warn of law enforcement use of radar nearby. Nonetheless, despite their widespread use and popularity, cell phones and other technological improvements have not completely replaced CB radios. Who Uses CB Radios and Why? CB radios have been used by truckers for decades, but they are also used by off-roaders, RV owners, those who ride motorcycles and all types of hobbyists. CBs can be used to keep groups organized and in contact during events. In fact, CBs are required for most trail rides, because cell phone reception is unreliable (or unavailable) in remote areas. Some drivers (of both trucks and cars) use CBs to identify speed traps, even though dash-mounted radar detectors are more extensively used than in past decades (although these may be illegal in some states). Drivers who use a CB radio do so for a variety of reasons: they can help find an alternate route in a traffic jam; warn of road blockages ahead; provide real-time weather reports and severe weather warnings; provide information about traffic enforcement activities; and provide assistance in cases of a mechanical breakdown or medical emergency. 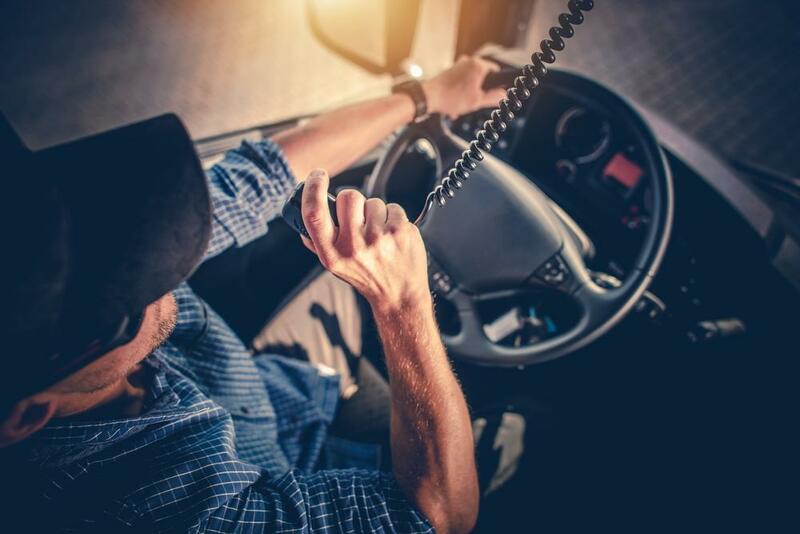 For drivers on long trips, a CB radio can provide comforting and helpful noise and conversation that is stimulating and may help keep a driver awake and alert. Truckers also use their CB radios (instead of cell phones) to provide information relevant to other truckers in their area. Examples of this include: when it's safe to pass or merge; how to avoid confusion at intersections or tight traffic areas; and the status of weigh stations and scales. In these instances, CBs are preferable to cell phones, because information is local, immediate and up-to-date. Even the best apps may not have specific traffic conditions; truckers listening to their CB radios will get the information as soon as the first trucker hits the condition, and even though the range of CB radios is limited, the information will be relayed onward. On the road, most truckers use channel 19 to relay general information. In some locales (particularly California) truckers use channel 19 for east-west travel-related issues and channel 17 for north-south travel-related issues. And despite the many technological advances referenced in this article, CB radios are heavily utilized during disasters and emergencies; there is a wealth of empirical data that they have saved lives. Law enforcement agencies, emergency and first responders, volunteers and many others use CBs to communicate when infrastructure is damaged or literally nonexistent. So while the heyday of CB radios has passed, they are certainly not passé.